As you drive into Cala San Vicente you head over a rise in the road and the welcoming Mediterranean sea opens up in front of you. The village is largely made up of hotels, apartments, and medium sized villas. The property styles vary greatly, with many villas being built to individual specifications. Regardless of the property type the whole bay and village of Cala San Vicente exudes an elegant and characterful presence. Located on the north west of Mallorca between Pollensa and Port de Pollensa makes it an ideal base to discover the whole north end of the island. Here we provide all the information you want to know about making the most of a visit to this fantastic little gem in the north-west. Cala San Vicente is traditionally a fishing village that over the years has made ever-increasing concessions to the tourist industry. Despite these concessions it retains its old charm. 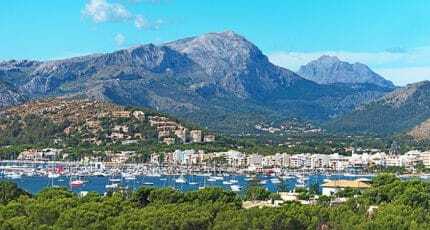 While it is relatively close to bigger attractions such as Pollensa and Port Pollensa, its seclusion has helped to ensure it isn’t overdeveloped. Cala San Vicente itself is the major attraction. The elegant and prestigious location within easy reach of bigger areas of Mallorca provides guests with the best of both worlds. Couples with older children and couples travelling alone find the perfect place to relax and enjoy the breathtaking scenery and romantic intimacy offered. As you proceed down the tree lined main street you’ll notice a collection of antique cars and bikes on the right hand side. These belong to the owner of La Moraleja Hotel, and are displayed along with his collection of artworks. There are several activities to choose from in the immediate area. 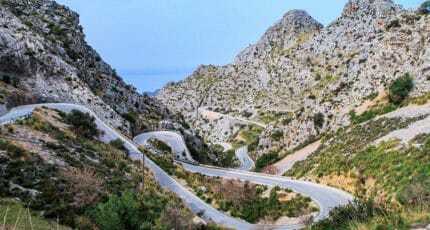 Its close proximity to the Tramuntana Mountain Range makes it a popular choice with walkers and cyclists. The small bays and variety of colourful fish provide the perfect place to get a taste for scuba diving. Ornithologists will find some rare treats in the north of the island, including the endangered Black Vulture. Falcons and nightingales are just a couple of the common sights. The three small hidden bays feel enclosed by the imposing backdrop of the Tramuntana Mountains. These three bays provide fine sand and pebble beaches. The crystal clear waters provide a great place for snorkeling and canoeing. Lifeguards, who due to the open nature of the bays use a simple flag system to warn of potential rough seas, carefully watch the two most popular bays. A rocky outcrop divides these two bays. If you are after a more diverse shopping experience then a trip to Pollensa or Puerto Pollensa will offer more choice. The Wednesday morning market in Puerto Pollensa is one of the busiest on the island and well worth a visit. Exploring the streets surrounding the small bays of Cala San Vicente reveals a wealth of culinary options. Both restaurants and hotels offer popular cuisine with a definite Mediterranean twist. One of the best restaurants is in Cala San Vicente Hotel. 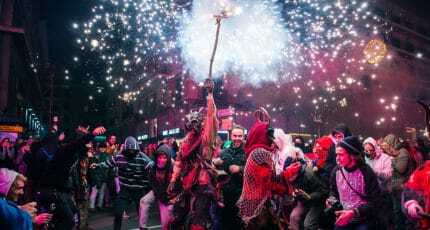 Although a little more isolated than some of the other options, it is well worth discovering. Cala Barques is beautifully situated on the beachside, and offers a wide range of seafood dishes fresh from the Mediterranean Sea. Many of the local restaurants provide excellent views to accompany your meal. You will find a good selection of local wines on offer, as well as selected international wines. There are plenty of options at lunchtime, with many small bars and restaurants located around the beaches. The most popular sandy beach has a beach bar provided by the Grupotel Molins who own the hotel nearest to the beach. There is a large selection of holiday villas and apartments available in the quaint village. If you prefer the convenience of a hotel then the 5-star La Moraleja is the pick of the bunch. The beautiful accommodation is just part of the appeal, with a classic car collection and exclusive artworks also on show in the hotel. No guests under the age of 14 are allowed except for the peak months of July and August. Cala San Vicente Hotel may well be the best equipped, with its more rural location providing guests with beauty treatments and a gym in addition to the swimming pool and exceptional restaurant. Two more of Cala San Vicente’s more popular hotels are the Hoposa Niu and Grupotel Molins. They both provide a high level of service and a central location. 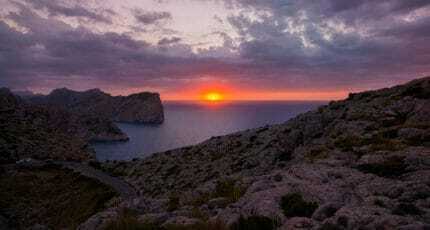 Cala San Vicente itself is quiet and relaxing, with few events disturbing the peace and tranquility. For those who want a more lively evening we would recommend a visit to the nearby Pollensa, which offers many festivals throughout the year. One of the more popular Easter events includes a procession up the 365 Calvari steps to the ancient little church at the summit. The properties in Cala San Vicente consist mainly of luxury villas or apartments. The exclusivity of the area combined with the relatively small size keeps property prices at a premium. While being located at the opposite end of the island to Palma, the motorway isn’t far away, and you can be in Palma in about 40 minutes by car. There are no international schools on the north of the island, but some of the schools further South do offer bus services for students who live in the area. Having Cala San Vicente as a base provides good access to the whole North West of Mallorca. 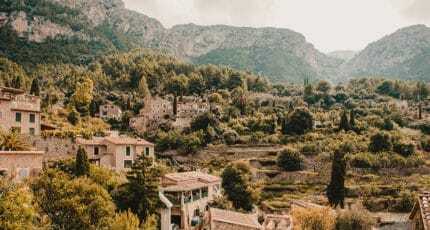 The atmospheric old town of Pollensa and Puerto Pollensa are within particularly easy reach, and offer a good mixture of culture and family fun. For those who want to go a little further afield just a few kilometres from Puerto Pollensa is the livelier resort of Alcúdia. Famed for its white sands and roman ruins, it has always been a popular destination with tourists. Heading past Puerto Pollensa deeper into the Tramuntana Mountains will take you straight to the prestigious area of Formentor. 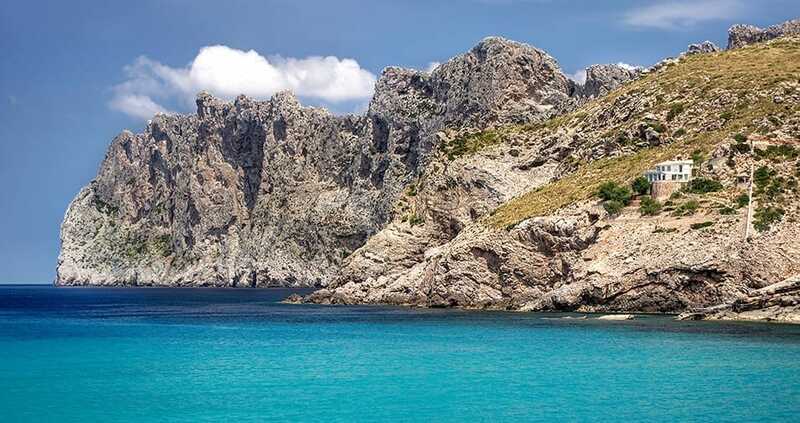 The beautiful but narrow beach, and the Cap de Formentor attract tens of thousands of visitors every year. We hope you have found this article about the Cala San Vicente useful and that you have many memorable stays in Mallorca as a result of our recommendations.